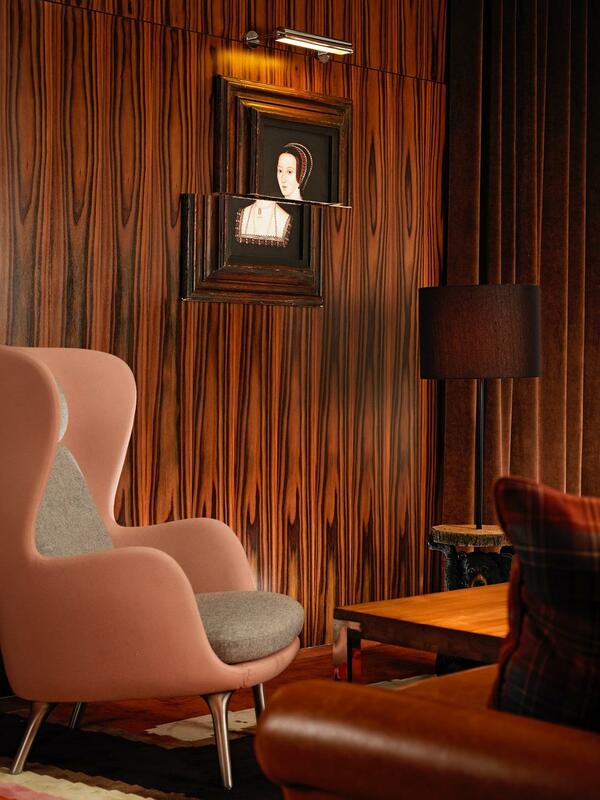 Welcome to The Den, a classically British, oak-panelled snug at St Martins Lane. 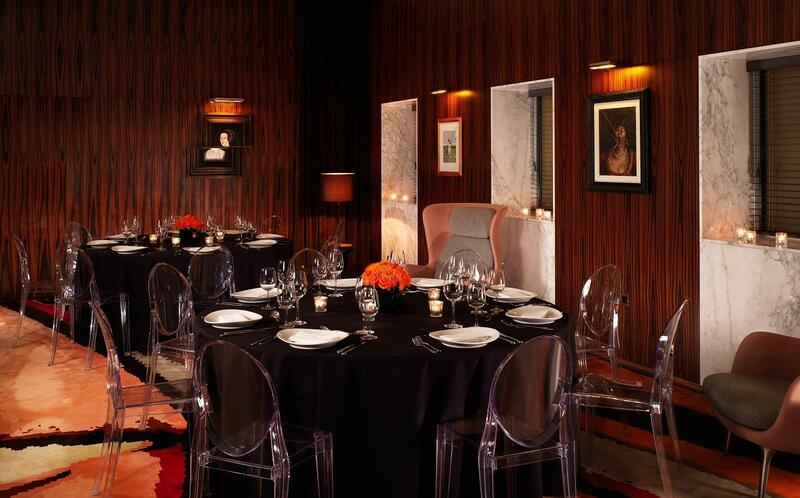 It's the perfect place to enjoy afternoon tea, host a dinner or reception. It is located just off the lobby with a heavy curtain separating it from the lobby making it a private space allowing some nice ambience to drift through from the lobby area. 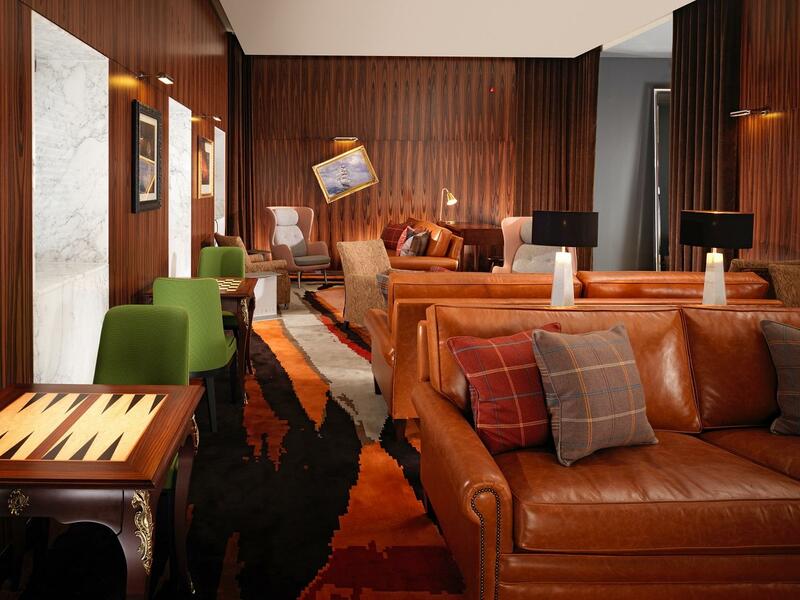 An ideal meeting place in the heart of Covent Garden, The Den’s laid back atmosphere is complemented by comfortable leather sofas and warm lighting. A series of surreal and playful art pieces riffed on classic British scenarios also adorn the walls, bringing the room to life with a touch of British eccentricity. A new afternoon tea menu has recently been introduced, with fresh savoury bites including Goat's Cheese Sable, Pine Nuts Swirl Brioche and Brown Bread Tartine followed by an abundance of sweet treats such as Mixed Berry Tarts with Vanilla Mousseline Cream, Coconut Macaroon and Greek Yoghurt Mousse Verrine with Passionfruit & Guava Sauce. Classic warm scones with clotted cream and jam are also served alongside. 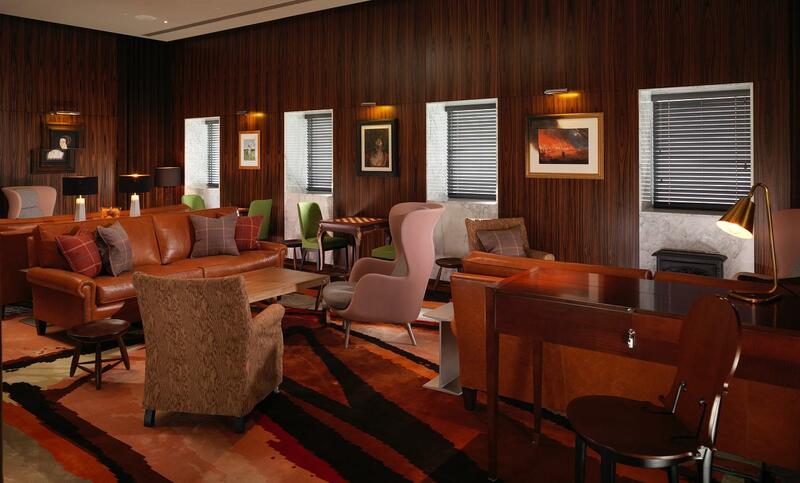 Available daily, the afternoon tea comes with a large selection of English breakfast and fruit teas. For those in the mood for something stronger, the bar team has created a special Gin & Tonic menu, inspired by the off-kilter artwork on the walls with each drink reflecting an element of the portraits.